The XC90 was the first model launched as part of Volvo’s transformation under Geely’s ownership, and what a cracking start. This luxury SUV is a triumph of subtle design, that manages to appear stately without being ostentatious. 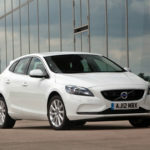 As a new buy, the V40 is starting to feel its age, but those worries fade away when considering a used example. Inside, all the basics are right, from the quality of materials to the driving position and excellent seats. Volvo Cars today revealed the new Cross Country version of its V60 mid-size estate. 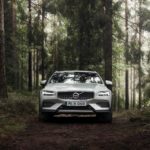 The V60 Cross Country is the latest addition to the line-up of brand-new Volvos and adds the capability on and off the beaten track that the company says has defined its Cross Country range since its introduction in 1997, taking the V60 from the suburb to the skogen (Swedish for forest). 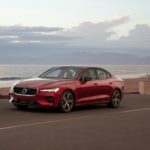 New S60 is Volvo’s first US-built car. 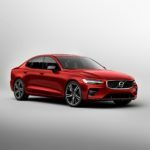 Volvo Cars, the premium car maker, today revealed the new S60 mid-size premium sports saloon at the company’s first US manufacturing plant in Charleston, South Carolina. The new Volvo V60 mid-size estate is now available to order in the UK, with on-the-road prices starting at £31,810 for the D3 Momentum manual version. The V60 is Volvo’s second new-generation 60 series model – after the XC60 SUV – and is built on the company’s Scalable Product Architecture (SPA) platform. Every engine is a Drive-E unit, designed and built by Volvo. 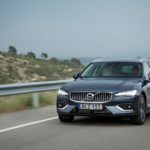 The V60 also brings much of the connectivity, entertainment and safety technology from the larger 90 series cars – the S90 saloon, V90 estate and XC90 SUV – to the mid-size estate segment. 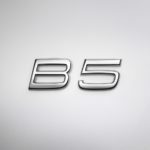 The new Volvo S60 saloon – to be launched later this spring – will be the first Volvo to be produced without a diesel engine, highlighting Volvo Cars’ commitment to a long-term future beyond the traditional combustion engine. 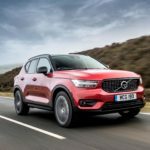 All new Volvo models launched from 2019 will be available as either a mild petrol hybrid, plug-in petrol hybrid or battery electric vehicle. 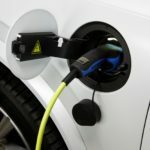 This is the most comprehensive electrification strategy in the car industry and Volvo Cars was the first traditional car maker to commit to all-out electrification in July 2017.